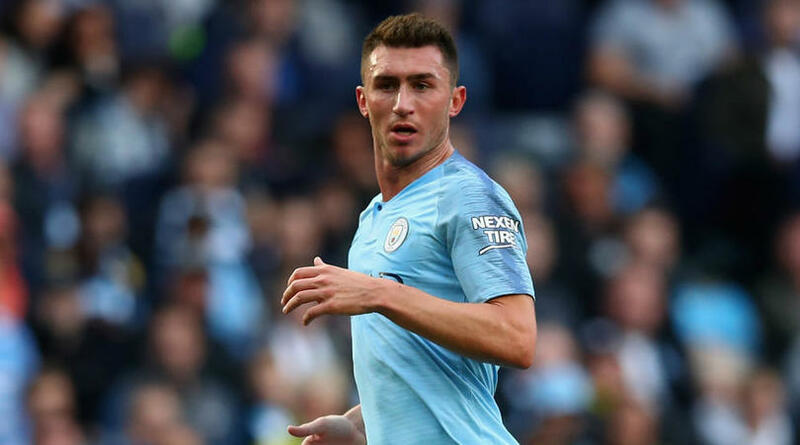 Aymeric Laporte has admitted revenge is motivating Manchester City ahead of their first derby against Manchester United since April’s dramatic defeat. United delayed their rivals’ charge to last season’s Premier League title with a remarkable second-half comeback in a 3-2 win at the Etihad Stadium. Paul Pogba’s brace and a Chris Smalling volley denied the hosts their crowning moment on what seemed set to be a dream occasion. Pep Guardiola’s side were handed the title by United’s loss to West Brom the following week, but Laporte has not yet forgotten the bitter defeat. ‘There’s always a feeling of revenge any time you lose against any team,’ the defender told Sky Sports. ‘We are always ready to compete and need to take advantage of the good momentum of the team at the moment. City have the chance to open a 12-point gap to Jose Mourinho’s men with victory on Sunday. The champions are in ominous form leading into the encounter, having won six straight in all competitions and scored 12 goals in their past two outings.